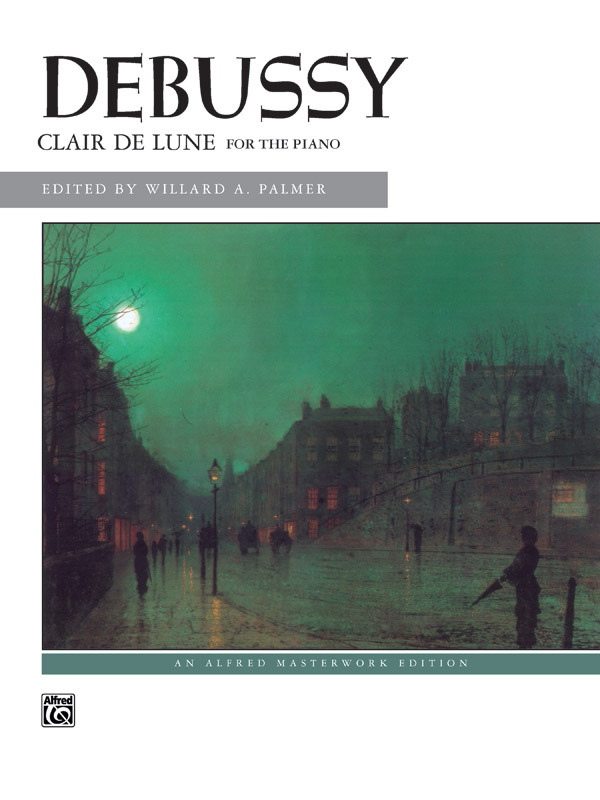 The original, unsimplified version of one of Debussy's most popular piano works. This ethereal, flowing section of Suite Bergamasque is diatonic and displays a conventional harmonic vocabulary in D-flat major. The title, Clair de lune, suggests a relationship to Paul Verlaine's eponymous poem, describing a vision of long-dead dancers in the moonlight. The music transmits the otherworldly, transparent, and impalpable qualities of the experience while maintaining clarity and definition. Perfect for the burgeoning late intermediate pianist. Edited by Willard A. Palmer.